Dubai is one of seven emirates that make up the United Arab Emirates (UAE), which is a country on the southeastern part of the Arabian Peninsula. 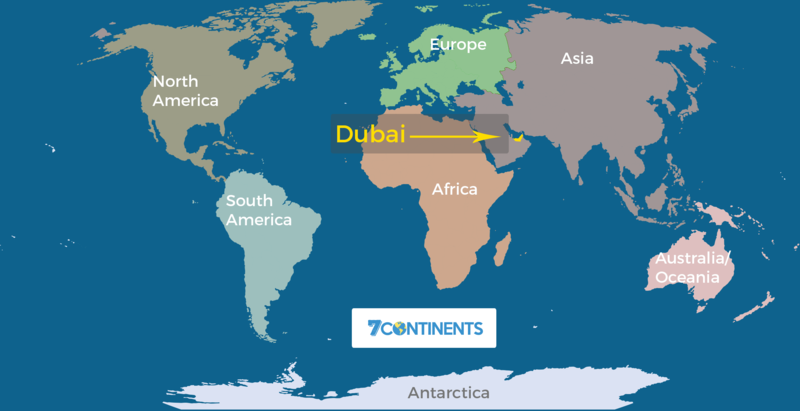 Assigning Dubai to a continent is a tricky proposition. Most of society cannot agree and relegate the emirate to the region that’s known as the Middle East. The Middle East sits between the continents of Africa and Asia. Geographers still debate about which continent it belongs. Today Dubai and the country it is a part of, United Arab Emirates, are considered to be part of the continent of Asia. 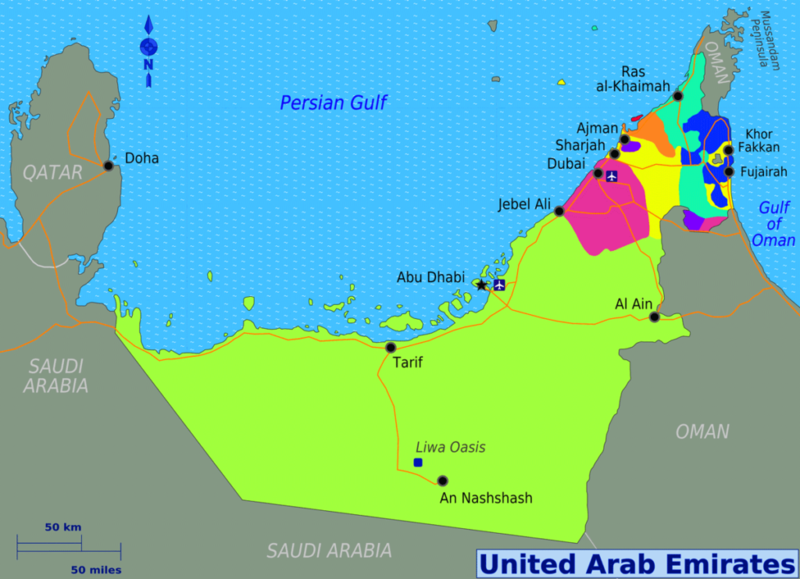 The Arabian Peninsula upon which Dubai is located is separated from Africa by the Red Sea. If you look closely at a map of the region, you can see that the boot-shaped Arabian Peninsula could’ve separated from the African continent during a powerful seismic shift or other cataclysm thousands of years ago. However, there’s no solid proof of this theory. Today, Dubai is closely linked to its eastern neighbors, and they are all considered to be Asian nations. If you associate Asia with the lush rice paddies of China or the steamy jungles of Cambodia, you’re not alone. 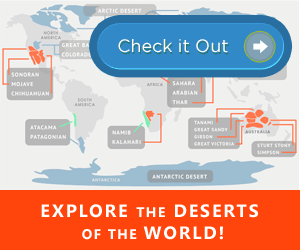 However, you’ve overlooked Southwest Asia with its rugged mountains, stunning coastlines, and mesmerizing deserts. Countries such as Yemen, Iraq, Iran, and Syria belong to this part of Asia. The southwest portion of the Asian Continent is the area to which Dubai is most commonly assigned. The emirate of Dubai is a land of great mystery. Even its geographic size is a little puzzling. Until recent years, several villages and cities that covered 1,500 square miles made up the emirate of Dubai. Its government launched several land reclamation projects over the years, and the emirate’s current size is 1588 square miles according to sources. This makes Dubai larger than major cities such as Moscow, Istanbul, and London. Dubai is the second-largest emirate in the UAE; only Abu Dhabi has more land than Dubai. Dubai is also the most populous of the UAE’s Emirates and has residents in excess of 2.5 million as of 2016. Men make up 75 percent of Dubai’s total population, and most residents are expatriates and not natives. The lifestyle and culture of this densely populated emirate is heavily influenced by its Asian expatriates that represent over 70 percent of its population. These transplants mostly come from India, Pakistan, Bangladesh, and the Philippines. While the emirate of Dubai was only recently founded in 1971, the area has a rich history that dates back thousands of years. Trade among neighbors in Afghanistan, India, and the Levant dominated Dubai’s early economy. Dubai’s early residents were known as the Magan people, who mined and sold copper, bronze, and natural stone for building projects. They were skilled shipbuilders and seamen, and their descendants used the emirate’s proximity to the Persian Gulf to start a pearl export industry that lasted well into the 20th century. Today, the emirate prospers from its oil, retail, finance, and tourism industries. UAE territories such as Abu Dhabi, Fujairah, and Sharjah surround Dubai on nearly all sides. Saudi Arabia, Oman, and Iran are some nearby countries. The emirate of Dubai and its capital city, which bears the same name, are known for extravagance and wealth. This emirate’s citizens travel extensively to regional hot spots in places such as Egypt, India, and Sri Lanka. Dubai’s dining scene is diverse and luxe. It’s influenced by many factors such as immigrants, religion, and ancient traditions. While produce is abundant in Dubai, many of the emirate’s signature entrees are made from meat, fish, and rice. Delectable dishes such as shawarma, ghuzi, and al machboos combine chicken or lamb with a heady array of spices for an unforgettable dining experience. Dubai’s vegetarians aren’t without options; the region is known for its tabbouleh and hummus. The affluent emirate attracts thousands of visitors each year, and it has its share of cosmopolitan restaurants to meet and exceed the expectations of the world’s jet set. You’ll find chic French bistros, Greek tavernas, and decadent Lebanese eateries in Dubai.